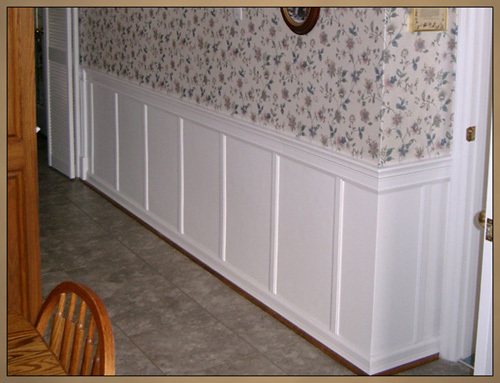 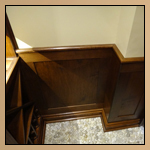 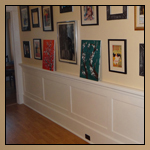 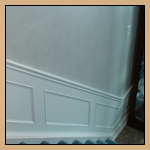 Custom Wainscoting Ideas - Custom Moulding This hallway wainscoting design is made from custom trim pieces arranged vertically along the wall into a panel pattern. 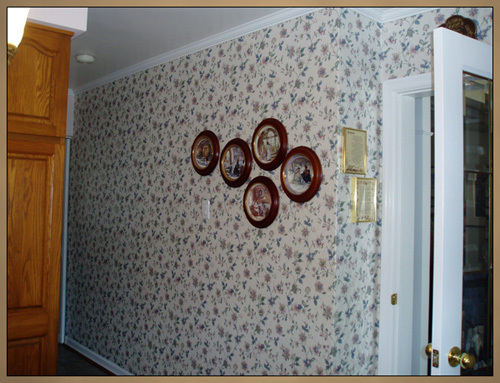 The wallpaper was scored and removed from the lower half of the wall, which was subsequently plastered over for a smoother more even finish. 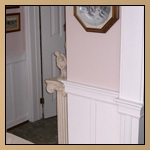 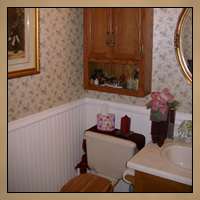 A two piece chair rail was added over the cut edge of the wallpaper to ensure it wouldn’t lift. 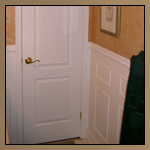 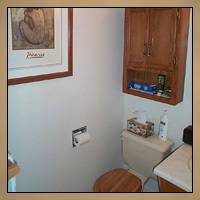 Everything was painted white to complete the dramatic new look.